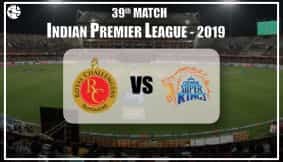 Navjot Singh Sidhu, as flamboyant on TV as a commentator as he was during his playing days as a batsman on the cricket pitch, has been admitted to hospital diagnosed with acute deep vein thrombosis (DVT). This is a life threatening condition if not treated in time. The former India opening batsman is in a stable condition after initial treatment, and in his inimitable way has tweeted that he was "down but not out". Ganesha takes a look at his Solar Chart to find out that Sidhu may recover only after 24th December, 2015. 1) What may have caused such a sudden health problem for the flamboyant and vibrant personality? Transiting Swagruhi Mars was aspecting his Mars in Scorpio, and his retrograde Jupiter (Swagruhi) in Pisces. Saturn was transiting over his Mars. He has retrograde Saturn was in Capricorn in his Chart. The Sun, Rahu and retrograde Mercury were transiting over his Mercury through Virgo, and they were aspecting his Jupiter. Transiting Jupiter was aspecting his Ketu posited in Sagittarius in his Chart. In the afternoon on 7th October, 2015 (when Sidhu was taken ill), Jupiter was transiting through Leo which was degreecal (18:02:58) with Ketu (21:52:38) posited in Sagittarius. Transiting Mars (13:33:45) was also degreecal with his Jupiter posited in Pisces. The transiting Sun was degreecal (19:40:34) with exalted Mercury (21:45:29) posited in Virgo (21:45:29) in his Solar Chart. Now basically, Mars is related to blood circulation and Mercury to the nerve system of the human body. The transiting planets have influenced him, which disturbed the functioning of his body in relation to blood and nerves. This seems to be the main reason for the illness. 2) Will he be able to recover soon, or is some suffering indicated? Jupiter, Saturn and Rahu-Ketu will be transiting in the same Zodiac Sign in his Chart. But Mars will be transiting through Leo and Virgo till 24th December, 2015. He may have to take rest and will be out of this post 24th December, 2015, when Mars will be entering Libra. He may have to bear this illness till then. He will have to be careful and take precautionary measures without fail. 3) Will he appear on more shows on TV, or will he be able to contribute to cricket in the coming months? Jupiter will be transiting through Leo till 11th August, 2016, and Saturn will be transiting through Scorpio in his Solar Chart till January, 2017. Ganesha feels that Navjot Singh Sidhu will continue his career on TV shows and will keep contributing to cricket. 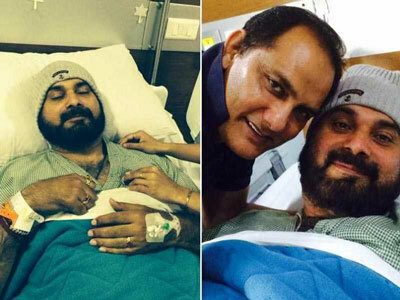 Ganesha wishes Navjot Singh Sidhu a speedy recovery.